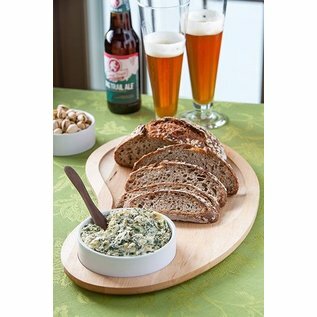 Each board is undercut for easy carrying and provides ample space for displaying your favorite appetizers. Made from Walnut with a Teak oil finish. Chip & Dip: The curved, oblong shape of our Chip & Dip Boards contrasts beautifully with the horizontal lines of the wood grain. The 5-inch Stoneware bowl is ideal for dips, oils and spreads. Made from Maple and Walnut with a clear teak oil finish. At J.K. Adams, we believe that the kitchen is the heart of the home. 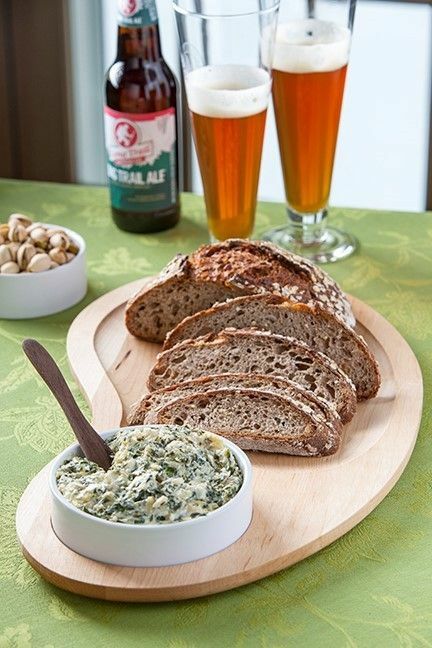 It is this belief that drives us to create the highest quality, hand-crafted products for cooking and entertaining. It is our job to give you the tools to make cooking and entertaining easy and fun. We love to hear about the well-used carving board that serves one family’s Thanksgiving turkey year after year or the cutting board used to prep a great dinner for friends. It is these stories from our customers that keep us going. J.K. Adams was founded on December 31, 1944. Times have changed but we are proud to say that our values have not. We remain committed to producing high-quality kitchen and housewares products by hand from North American hardwoods in Dorset, Vermont. We are a second-generation family-owned business with employees that have been with us for years and who are proud of the products we produce together.